Play is an essential part of each day. Kids have a keen sense of this. As adults we tend to wander off sometimes into places far, far away from the playground. We may not even realize it, but our bodies do. It takes deliberate action to pivot and return to our sense of play. Adding a hot tub to your “playground” equipment blows the proverbial whistle to beckon you back to a place where you thrive…without skinning your knee. Would your childhood self be satisfied with the amount of fun your adult self has on a daily basis? Chances are he or she would tell you to get out of the house and play, and don’t even come back when the street lights turn on. Granted, adults have a lot of responsibilities. 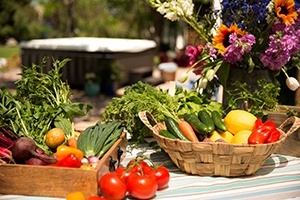 However, one of the biggest is to ensure that you take care of your health, happiness, wellbeing, AND pump up the fun. Owning a hot tub satisfies it all. 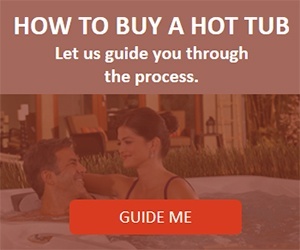 Should I Buy a Hot Tub? If you’ve been on the teeter totter over deciding to buy a hot tub, allow the following to push you down the slide and swing you into action. 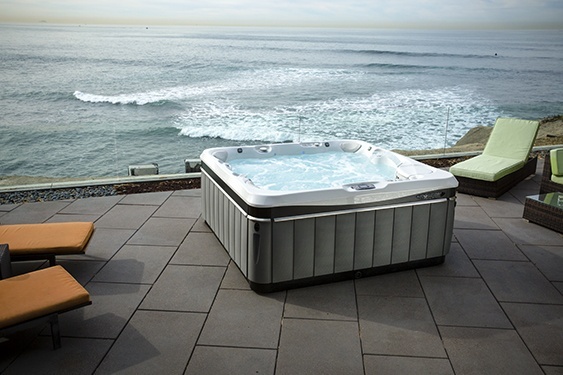 A hot tub will infuse good health and fun into your life. 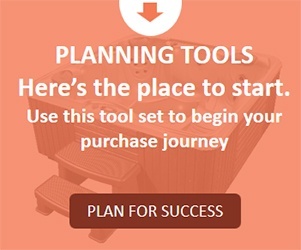 Let’s take a playful look at each piece of playground equipment as it symbolizes the aspects of making a final decision to buy a hot tub. Teeter totter. Of all the playground equipment the teeter totter seems to be the most indecisive – back and forth, back and forth. 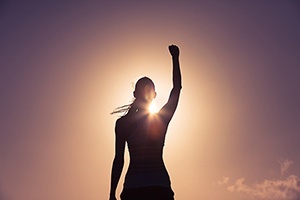 Your movement depends upon someone opposing you on the other side. Just sitting there on the ground gets you nowhere. Although the person makes movement possible, he’s always pushing against your efforts. Your decision to buy a hot tub may be sabotaged by a lack of movement on your part or someone working against you. The only way to escape from the inherent indecision is to safely ease yourself down, jump off and run to freedom. Sand pit. There is safety in the sand pit. It’s accommodating, low risk. If you fall your landing is soft. You don’t even necessarily need to play on the equipment. You could talk yourself out of anything, and any purchase. But you know you want to play. It’s much more fun on the equipment. The sand is a safe bet. 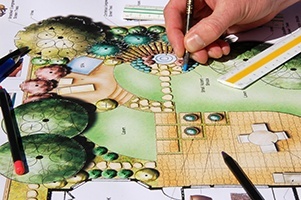 Digging and molding creative sculptures can be fun, but be careful. Do not burry your head in the sand and deny yourself what you really want. Life will pass you by if you’re not careful. There’s a reason they call it a pit. Do you get your daily dose of fun? Monkey bars. It takes strength to work your way through the matrix of cross-bars you face when making the decision to buy a hot tub. Making an informed decision requires you to pull, push and climb through research to reach new vantage points. Each movement pieces together a connection that moves you closer to your goal. It’s all for a good purpose. You won’t be left hanging upside down. Instead, you’ll see a new way of living. The health benefits of a hot tub are worth the climb. Slide. When it’s your turn to make a decision to buy a hot tub push off and let go. Admittedly, you might need a nudge from behind. Once you’ve started your ascent you feel the positive momentum. There is freedom in movement. Let it carry you. If you hit a sticking point in the process, a bit of wiggling will help. Keep moving. Climb back up and get a second, third or fourth dose of momentum if needed. Each trip will remind you of the fun and excitement that is yours for the taking. Life is your playground. 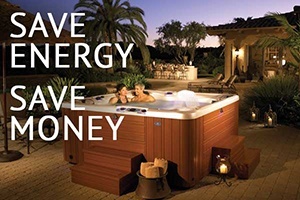 Populate it with awesome equipment like a hot tub that will benefit your health and happiness. For one minute walk outside, stand there in silence. Look up at the sky and contemplate how amazing life could be…in a hot tub. The decision is all yours. It’s time to play. 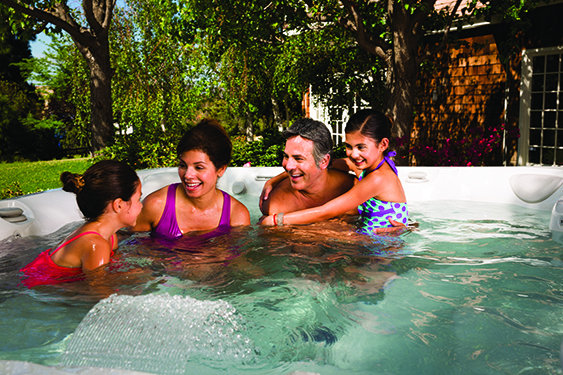 Learn more about the hot tub benefits for your fitness routine. 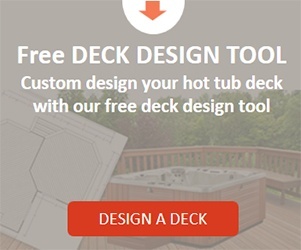 If you’re already an owner we would love to hear how you are using your hot tub to add fun into your life. 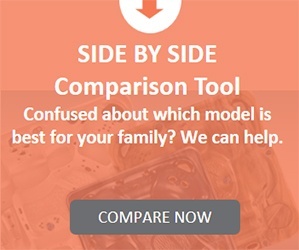 Download a brochure or visit the “Download a Brochure” tab in the toolbar. At Caldera® Spas we take pride in helping you find ways to “Come to Life®.” We know you’re worth it. Feel Good. Live Well. We’re all in this together. Know About My Hot Tub Cover?